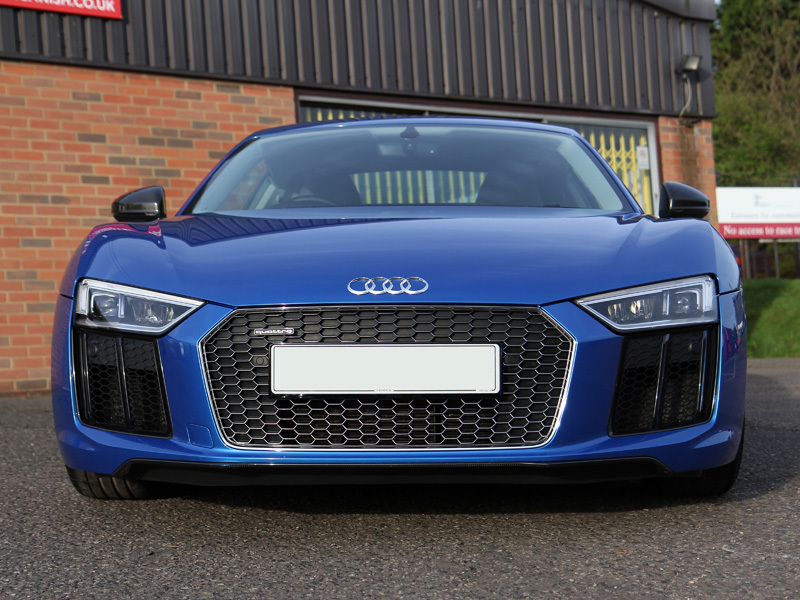 The Audi R8 is based on the Audi Le Mans Quattro concept car, so its aggressive sporty design is hardly surprising! Using the Audi trademark permanent all-wheel drive system and based on the Lamborghini Gallardo platform, the R8 literally screams ‘race me’! 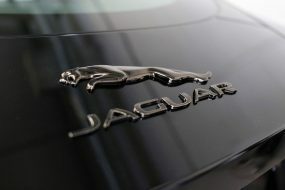 In fact, 24 Hours Le Mans winner, Jacky Ickx, declared it ‘the best handling road car today’. Little wonder then, that since its launch at the Paris Auto Show in September 2006, its popularity has gripped top spots as firmly as the quattro system grips the road! In 2012, the R8 was given a facelift and some engineering modifications. The hand-welded aluminium space frame received a carbon fibre centre tunnel, firewall and B-pillars, which, along with a few other tweaks has stiffened the body structure by 40% over the previous version, whilst making it 15% lighter. 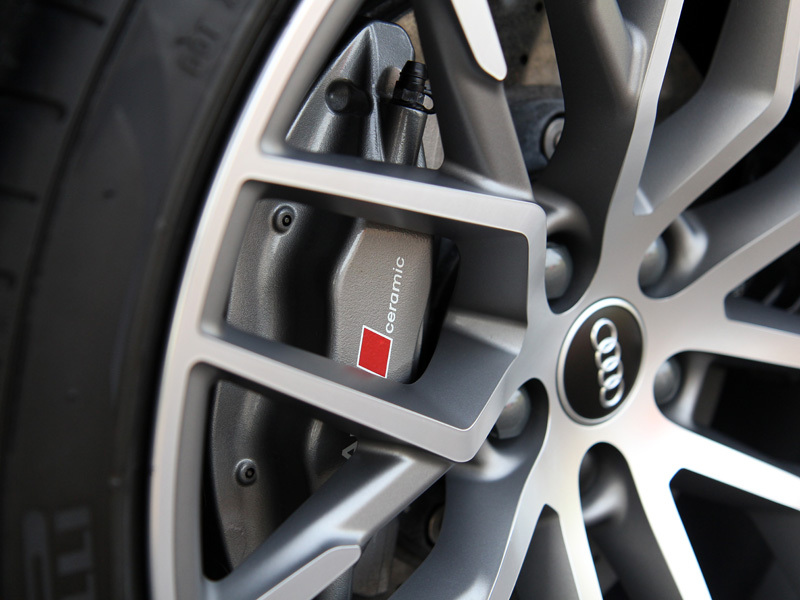 In fact, the R8 PLUS shares half of its components with the R8 LMS racing car. 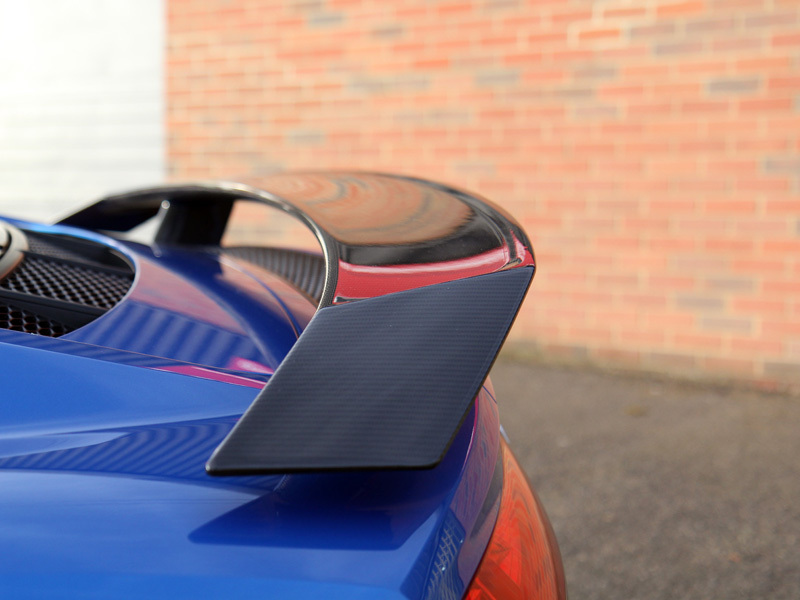 The PLUS is distinguishable from the regular R8 by the carbon fibre rear fixed wing (rather than a pop-up aerofoil), along with matching carbon fibre door mirrors, side blades and diffuser and cross-drilled, ventilated carbon-fibre-reinforced composite ceramic brakes. Just as well, as with 610bhp delivered from a 5.2 litre naturally aspirated engine, the R8 sees 0-60 disappear in a mere 2.9 seconds! 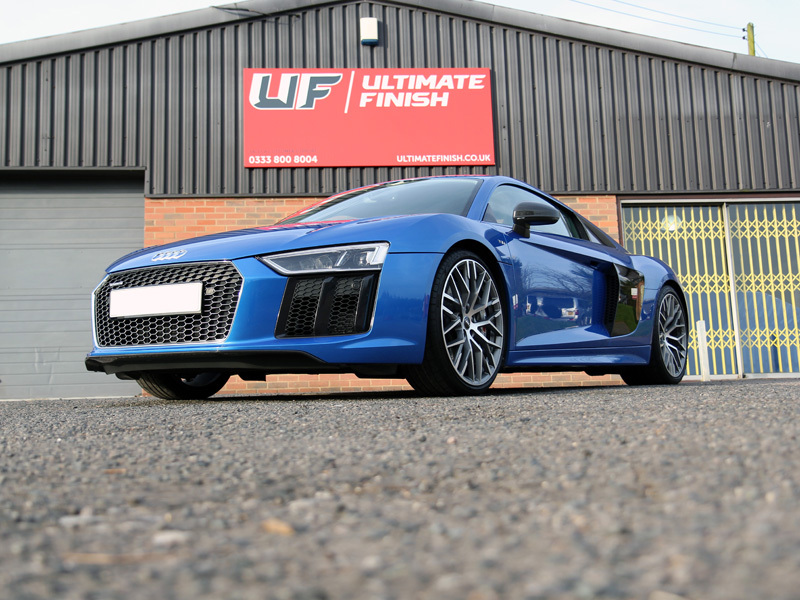 This customers R8 arrived at UF’s Brands Hatch Detailing Studio for Paintwork Correction, complete with ‘Platinum’ sealant upgrade using Kamikaze Collection ENREI, a two stage state-of-the-art ceramic coating that delivers incredible gloss, inhibits contamination from adhering to surfaces and protects from industrial and environmental fallout. The owner also specified Alloy Wheel Protection, Leather Protection and for a glass sealant to be applied. In addition, the driver’s door had received a ‘public car park injury’ which required specialist attention. Prior to the paintwork being fully assessed, the R8 required thorough decontamination and cleaning to remove dirt, road grime, tree sap and bug remains along with some water spot residues and brake dust particles. 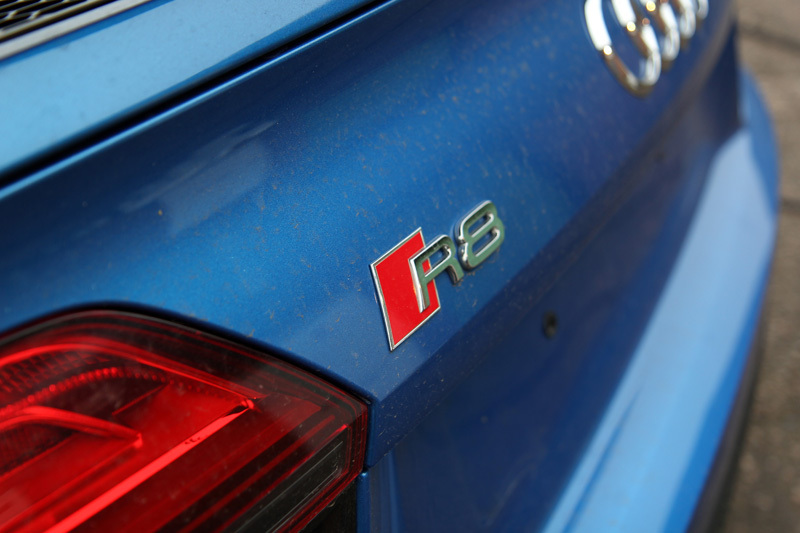 First, the R8 was treated for iron particles. 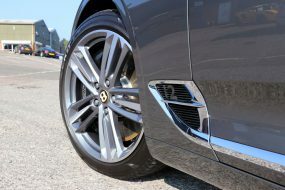 These harmful elements are usually derived from brake pads and although the R8 has ceramic brakes, it could have collected this type of contamination from cars around it whilst driving. 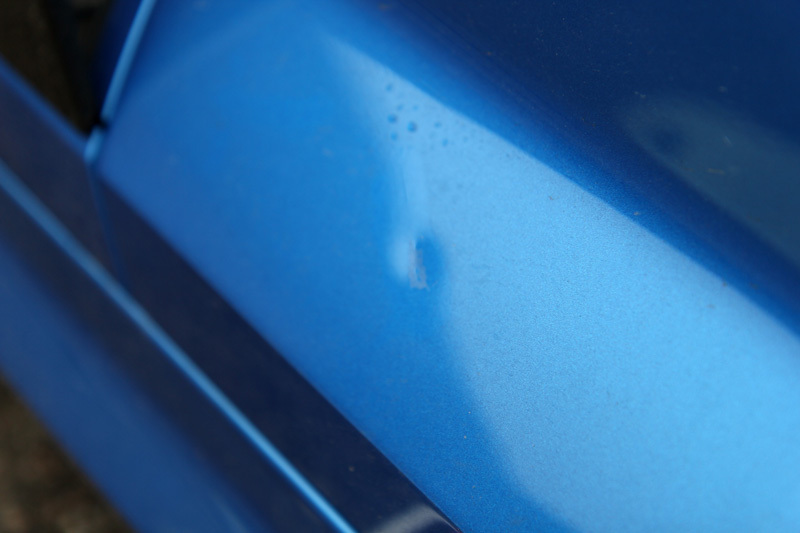 Left in place, iron particles will rapidly begin to oxidise and swell, potentially causing pitting in the lacquered surface. Bilt-Hamber Korrosol, a dedicated iron remover contains an active ingredient which shrinks the iron particles, causing them to break their bond and allowing them to be easily rinsed away. The R8 was then degreased using a solution of Bilt-Hamber Surfex HD. 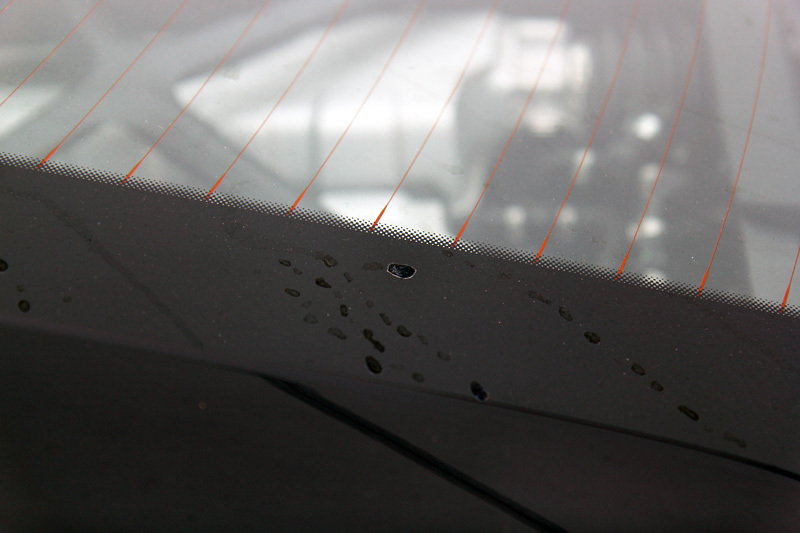 Particular attention was paid to the bonnet, boot and door catches, natural traps for grease and dirt. The wheel arches were also cleaned using Surfex HD to ensure any road grime residues were removed. The 19″ matt titanium alloy wheels were cleaned using Wheel Woolies, long-handled wheel brushes with a variety of head sizes, the better for fitting through the intricate wheel design and reaching through to the back of the rim. 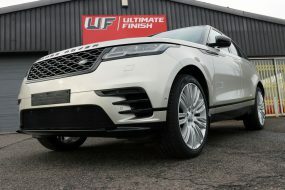 Ultimate Snow Foam was applied to the bodywork and wheels, the thick foam lifting larger particles of dirt and grit away from the surface of the vehicle. This helps to prevent incurring swirls in the paint finish when a wash mitt is used. The first application of foam was rinsed away before a second was applied and used as a lubricant for a clay mitt. These mitts shear stubbornly bonded contamination away from the surface of the paint to leave a silky smooth finish. After rinsing again, the R8 was washed using the Two Bucket Method, an Ulti-Mitt Double-Sided Merino Wool Wash Mitt and Nanolex Pure Shampoo. Once completely clean, the suds were rinsed away before the water spot marks were treated using Kamikaze Collection Water Spot Remover. 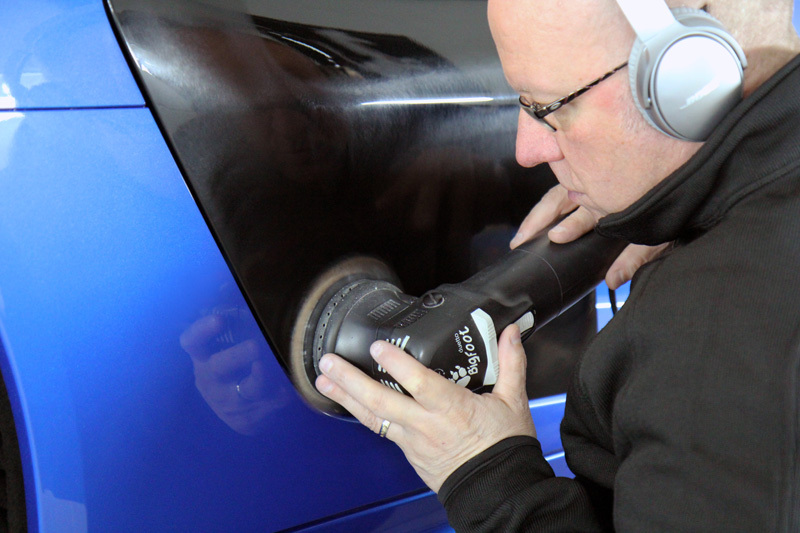 This gently dissolves the deposits without affecting the integrity of the clear coat. Lastly, an Aqua Gleam De-ionising Water Filter was attached in-line with a hose to deliver a final, pure water rinse, preventing water spot marks recurring. 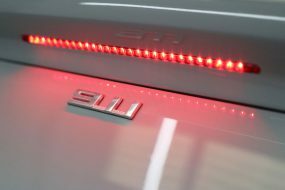 After careful drying using ultra-soft microfibre towels, the R8 was brought into the studio for close inspection under high-intensity lighting. 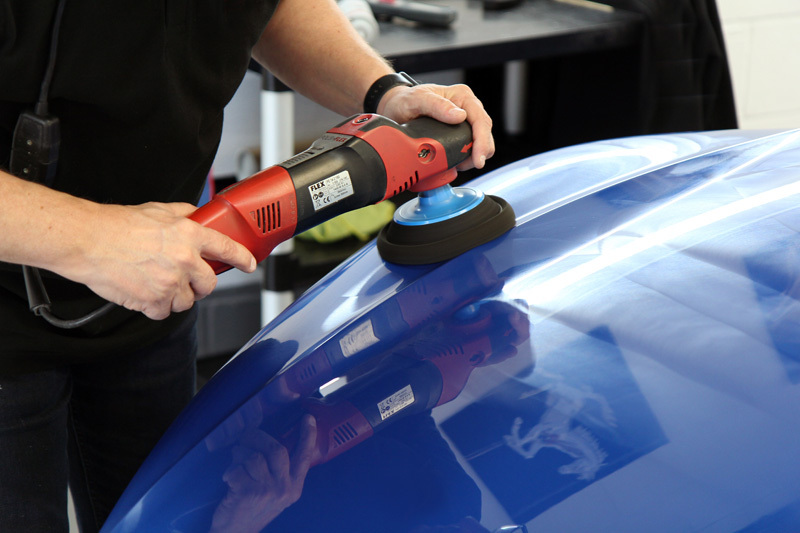 Before any machine polishing could be carried out, the ‘ding’ in the aluminium door required Paintless Dent Removal (PDR). 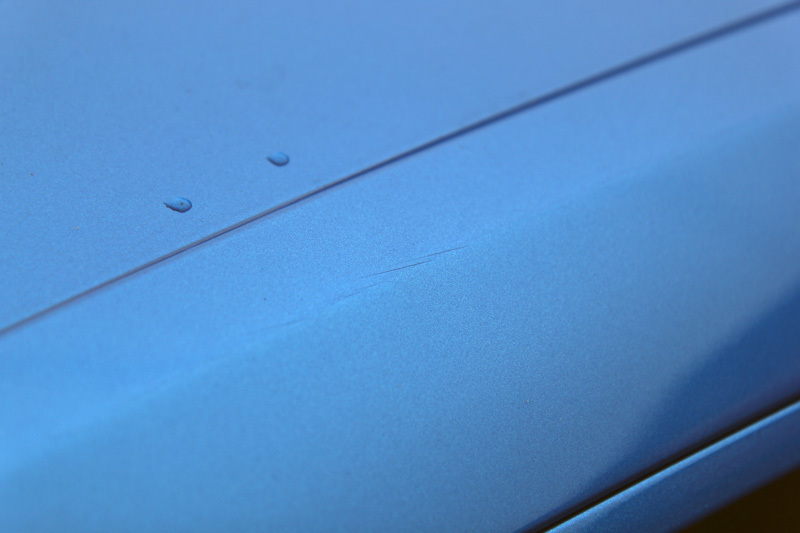 The repair is carried out without the need for any filling or painting using a method that manipulates the dents out of the damaged surface, restoring the panel to ‘as new’. After assessing the damage, the product selection for the correction was made taking into account the consistency of the paint. As is typical for many German automotive manufacturers, the paintwork on the Audi was relatively hard. The initial correction process was carried out using Menzerna Heavy Cut Compound 400. Menzerna is a German product range designed with scratch-resistant clear coats in mind and has proven highly effective at removing random deep scratches (RDS). The filler-free formulation means a true result is delivered, with minimal drop back and the diminishing abrasive particles break down to leave the surface ready for refining, eliminating the necessity for a polishing stage. To refine the paintwork, a FLEX PE14-2-150 Rotary Machine Polisher was used with a 3M PERFECT-IT III Black Polishing Pad and SCHOLL Concepts S40 Anti-Swirl Compound. 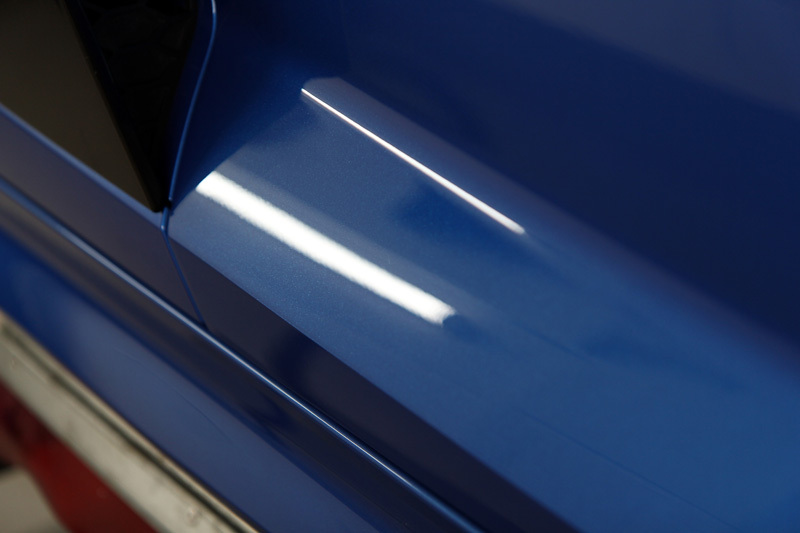 This left the Ara Blue crystal finish paintwork with a high gloss shine, ready for final protecting. After misting the bodywork with a solution of Gtechniq Panel Wipe and carefully buffing off to remove any polish residues that might interfere with the sealant, ENREI No.1 Base Primer Coat was applied. This provides a uniform base for the top coat to adhere to, ensuring maximum protection and the highest possible gloss. After allowing the base coat to cure for around 2 hours the No.2 Top Surface Coat was applied. 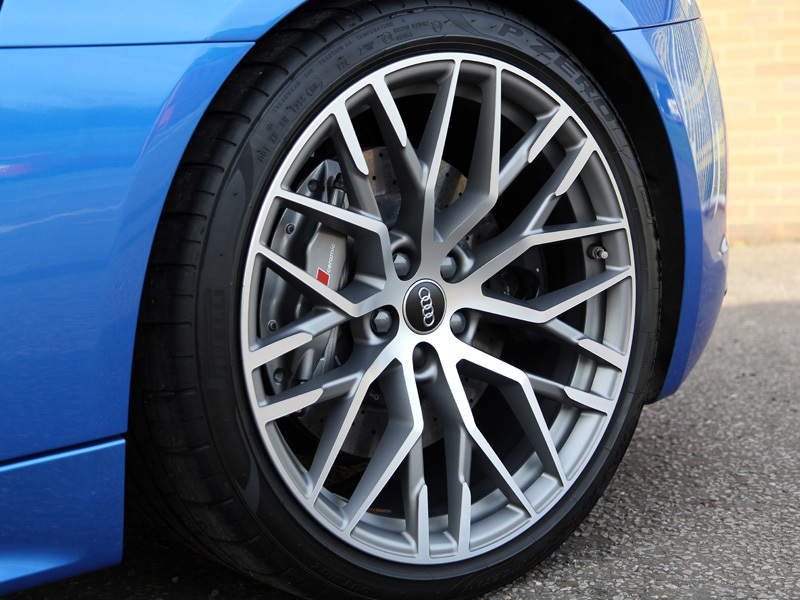 Whilst ENREI was curing, the alloy wheels were protected using Kamikaze Collection Stance Rim Coat. Specifically formulated to withstand the unique challenges faced by wheels, Stance Rim Coat is virtually impervious to extremes of pH, is highly heat resistant so will not burn off when the wheels become hot. 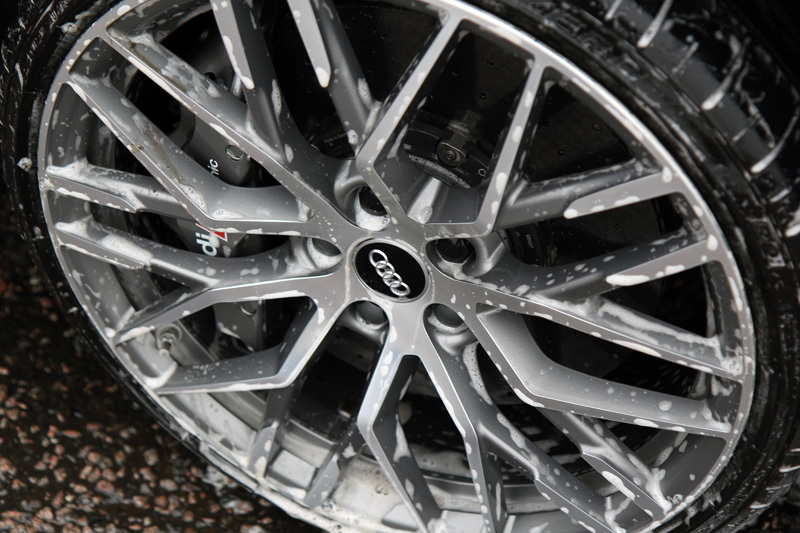 Water, oils, road grime, chemicals and salts are all inhibited from adhering to the hydrophobic, oleophobic surface, making treated wheels easier to keep clean. To preserve the appearance of the leather interior, Colourlock Mild Leather Cleaner was used to remove dirt and oil residues which build up quickly. Once clean, the leather was protected using Colourlock Leather Shield. This provides a hydrophobic barrier, helping to protect against stains from accidental spillages, as well as abrasion and UV-induced colour fading. 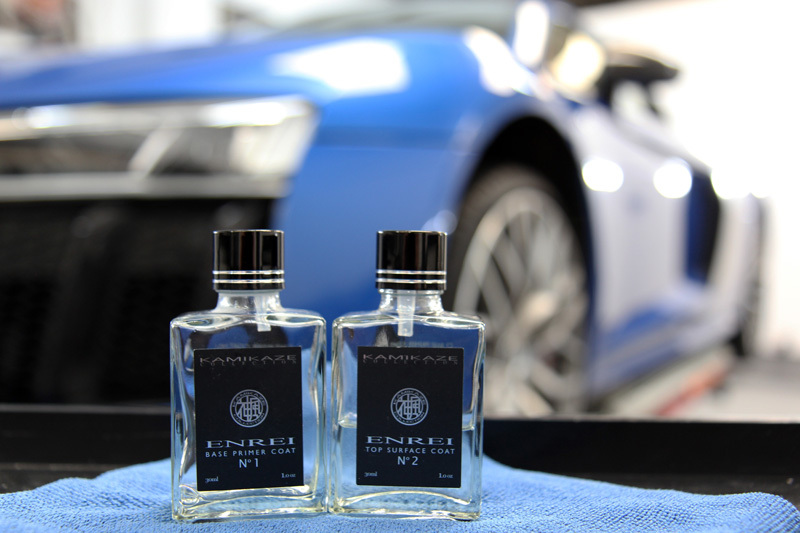 As the R8 is driven on a daily basis, Kamikaze Collection Intenso Window Coat was applied. 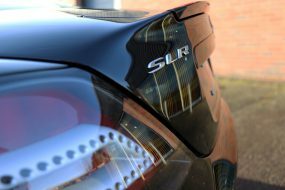 This creates a hydrophobic barrier that encourages rainwater to roll into beads on contact, allowing them to be easily blown away whilst driving even at relatively low speeds. 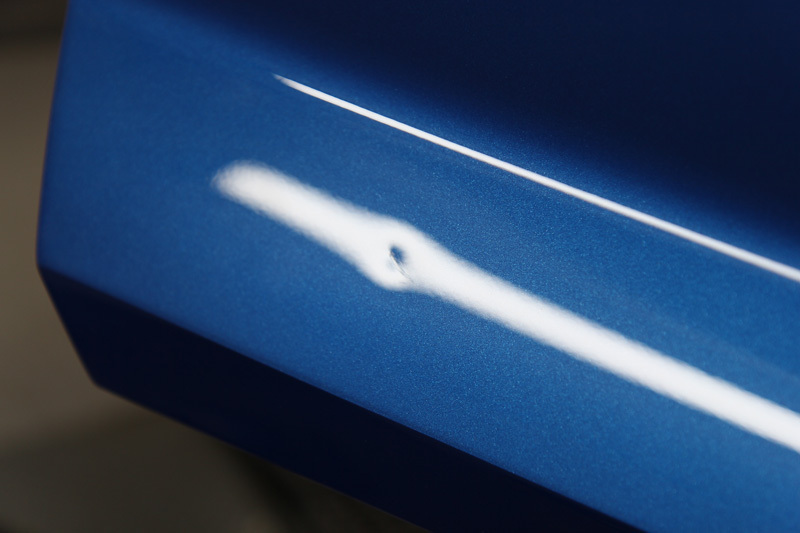 The slick formulation does not cause irritating wiper judder but allows the blades to slip easily over the treated surface. 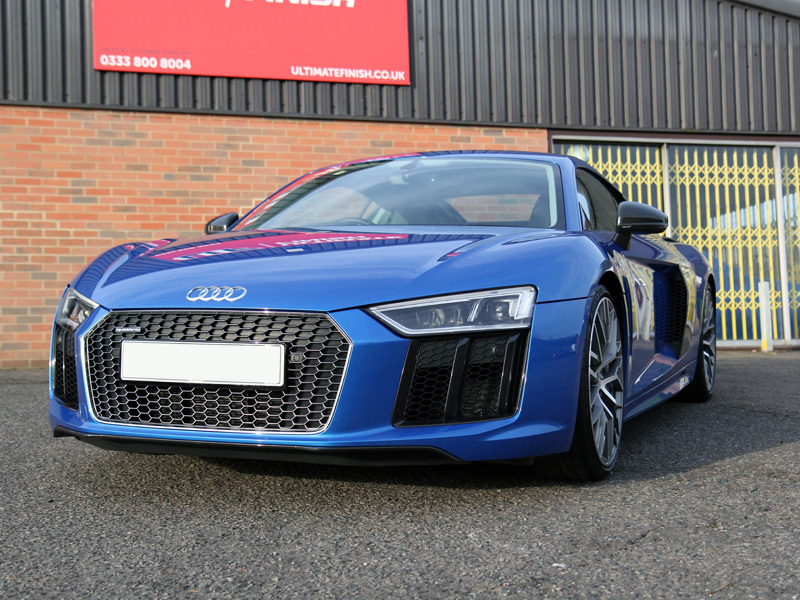 Fully protected, the R8 looked absolutely stunning, and with its ENREI coating, the Ara Blue crystal finish paintwork really did sparkle!